Wow! What a busy week! I can't believe 7 weeks are gone of Term 3 and we are heading into our Spring holidays soon! This week I was chosen to attend an Australian Curriculum PD - I admit, I went into it expecting it to be quite dry, but I am very excited by the change from state by state curriculum to Australian Curriculum! We will start the transition next year! Judith - I will definitely be asking you some questions! Are there any other Australian teachers who have already started? 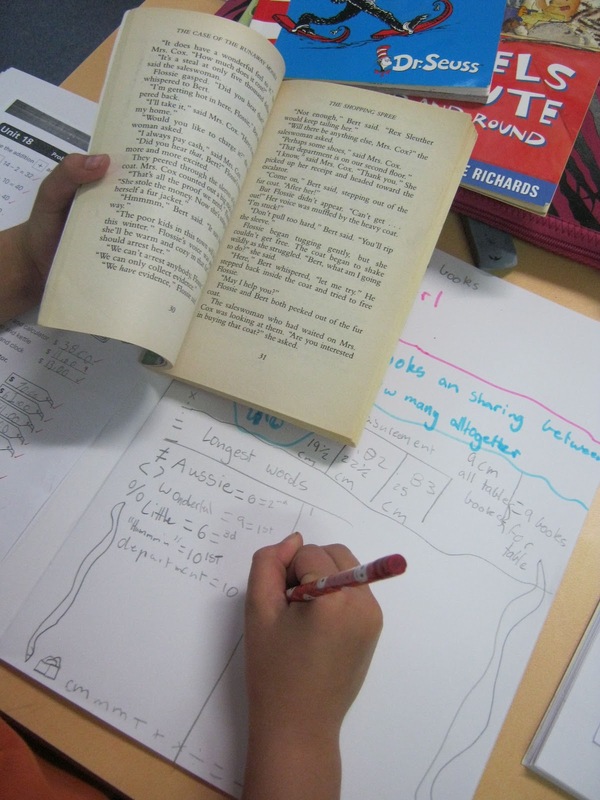 This week was Literacy and Numeracy Week. We celebrated a little. Each day I read the children a very special book of mine and shared why I loved it so much. Then on Thursday, we switched classes and read our absolute favourite to another group of children. A new audience! We also wrote 6 word stories. I told the children I had a special challenge for them and they started screaming when they found out they could only write 6 words - but then when they got started, they came out with some amazing stories - my less able children loved it - it was easy for everyone! "Can't talk, I'm in the Olympics"
"Lawson fell from the ceiling, bang"
"Harvey and the pirates opened treasure"
I was amazed by their creativity! They had to think so much about the words they used! 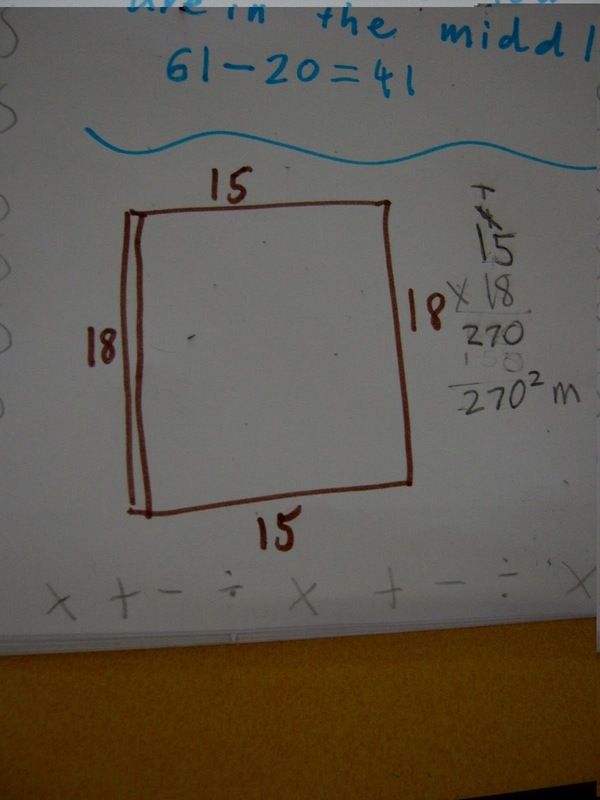 But this activity was my favourite! I put together a stack of my books. Then I asked the children what Maths we could do with the books. The first suggestion was share them out. 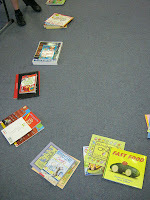 So we had a guess how many we would get each, then shared them around the circle. The next suggestion was write a problem solving question. 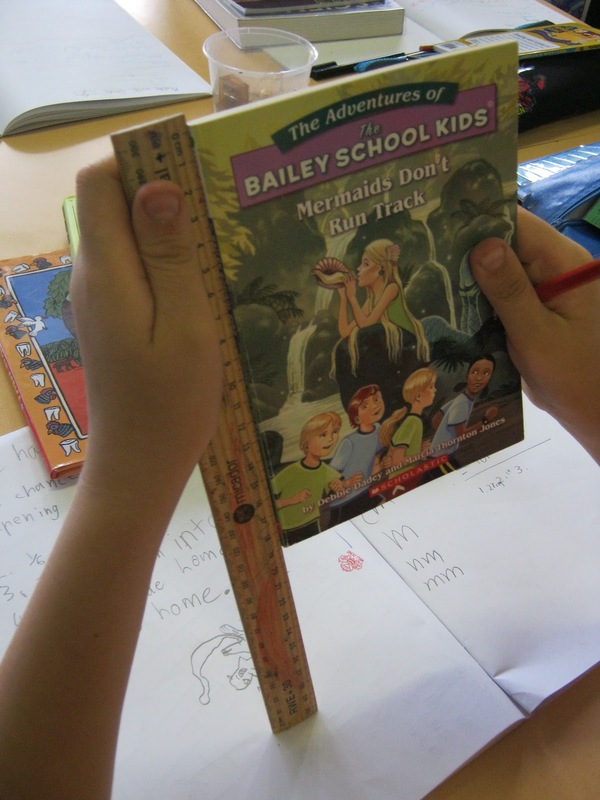 Then we measured the spine of the book. 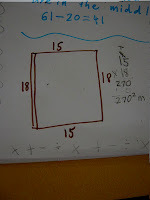 One girl in my class decided to find the surface area! 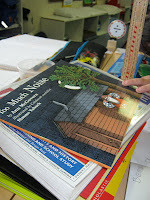 Then we measured a stack of books. Then we searched for words with the most number of letters. 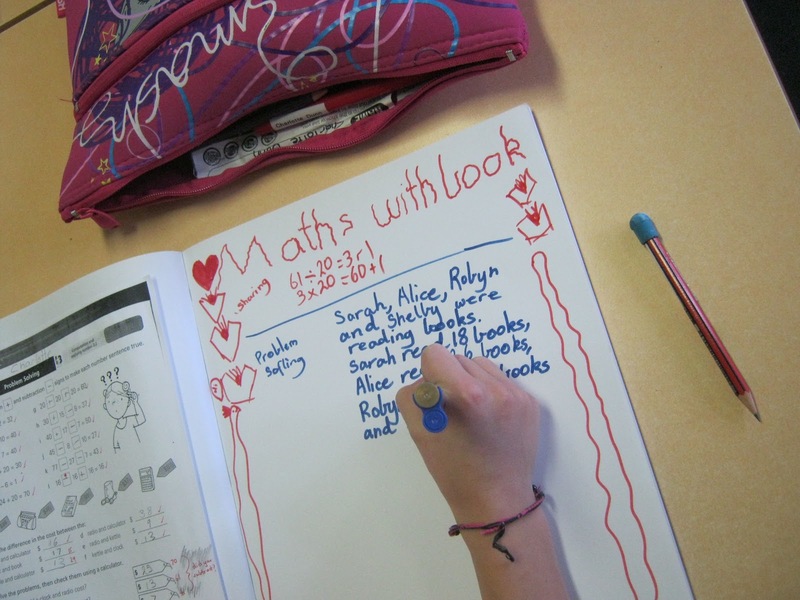 The children had lots more ideas: adding together the number of pages in each of their books, finding out the surface area using tiles, finding how many of one word is on one page, making a tally of how many two and three letter words there are on the page. We could have gone on for ever! If you wanted to do this activity in your classroom too, you might like to use this worksheet I created (just for you all, we approached the task with a more problem solving/investigative approach). In the pack is a version with Australian spelling and one with US spelling - check before printing! Hey Alison! I moved from QLD to NSW last year and I am SHOCKED at how much they are PD they are NOT doing her on the Aus curric. I know that when I left QLD they were starting trials etc,but I feel a bit ripped off here as not much seems to be going on with it!!! Or perhaps we are just the last to know??? Wow! We were told that NSW were in the worst shape as far as the Aus Curriculum goes. We were also told Victoria is in the best shape, but I was under the impression QLD were using it already? Confusing! I think the Victorian Government was running the PD I went to...... Good luck!! Hope you hear something soon! Qld is definitely doing the Australian curriculum! But at my school last year there was very little PD offered. We have been 'learning as we go' this year. Each school has been very flexible in how they implement it, with the Union constantly reminding us that is 'isn't mandate'. 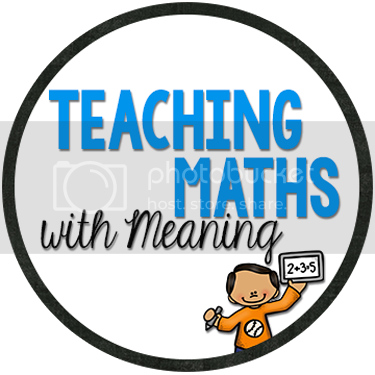 C2C is a one-size-fits-all model that you need to differentiate in every lesson!!! This year my Year level has followed the C2C material to the T. Plenty of ups and downs, but we all agree that as you get into it, it starts to make sense. Spelling has been our biggest nightmare, followed closely by the lack of writing opportunities in English. Maths has been a lot calmer. Science is fine as well. Start looking at the units NOW and unpacking them just to get your head around the new format. And do ask me any questions - more than happy to help!!! They didn't even mention the C2C! Everything was all about the outcomes that would need to be reached! No direct classroom units etc...... 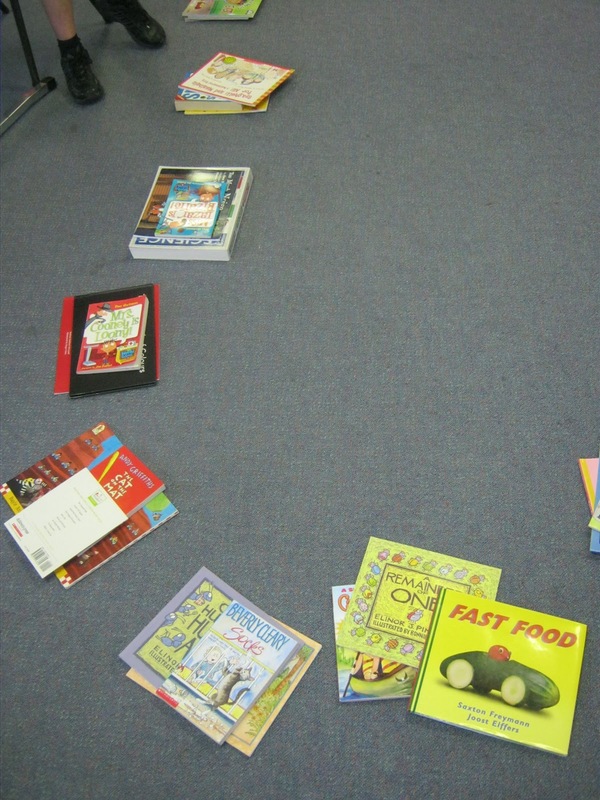 I teach in a IB school who don't like conforming to text books or mandated curriculum so we will see what happens! We have lots of flexibility at the moment - now I am a bit scared! Where do you find the units online? On the acara website? Is each state being told different things now? Im in NSW and we are definately resisting the National Curriculum. Even to the point that they and rewriting some of our existing syllabus documents. WOW! This is crazy! All states meant to be doing the same thing and then each state hearing and doing different things! Thanks for the comment - it worked great! Thank you for sharing this at TBA and linking up! I'm your newest follower! Thanks Fern! I look forward to contributing! WoW!I love the activity by the way! :) What an excellent way to engage students in learning with their own ideas and books! 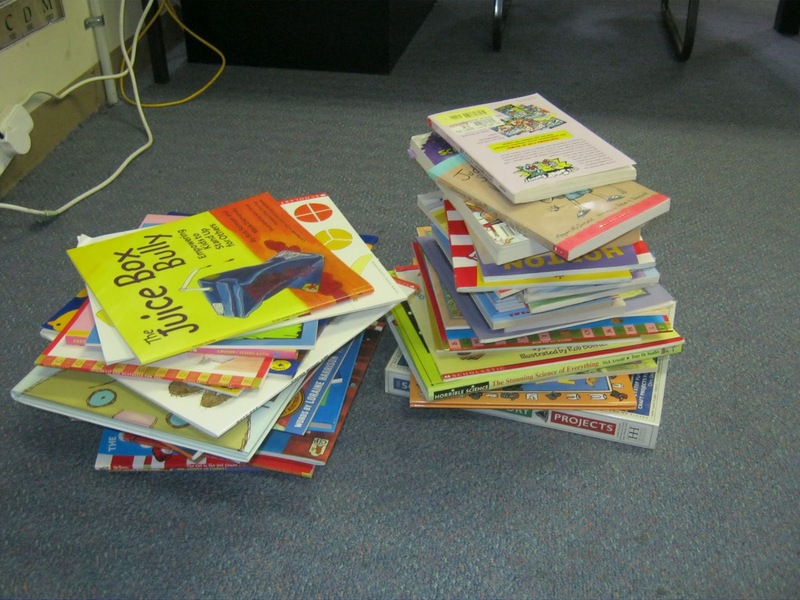 We're finding in High School Maths in Queensland that year 8 is really now year 9 (yr 8 textbook somewhat useless) and that year 9 is really year 10 (textbook also useless for year 9 but used for year 8). Then for year 11 and 12 its the old way and year 10 is kind of up in the air which is terrible and it shouldn't be! I'm concerned about all the parents who paid the textbook levy and we barely use their own textbook it just now sits in the cupboard at school (or home) for the rare time we do pull them out! Interesting read from the NSW perspective!